Is your hair frizzy? Hard to tame? Too much volume? Doesn’t like to stay straight? Do you spend ages wrestling with a GHD and blow drier just to have it spring back to its original splendour? Aveda has the answer. Utilising plant power and organic shea butter, Smooth Infusion Smoothing Masque does exactly what it promises: Smoothes. This at-home masque is used once a week, and it will promote a 50% reduction in frizzy volume in only once use. This has been proven in clinical trials. The shea butter and cupaucu extract help to weigh down the hair, with a non-greasy coating, which helps to reduce the excess volume, and smooth the dreaded frizz. 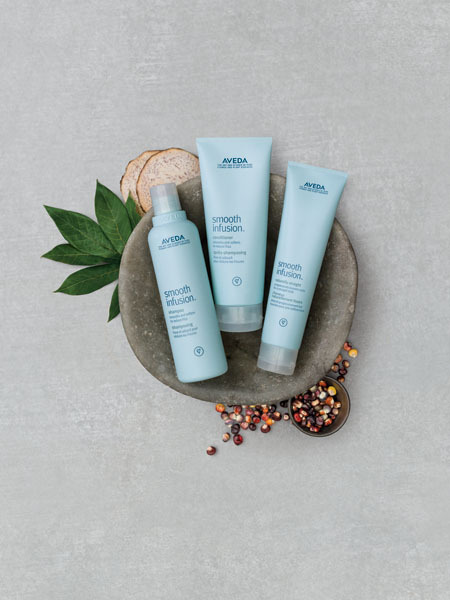 It is the latest addition to Aveda’s “Smooth Infusion” family, which is a complete range targeted at those with hair that is prone to frizz. Team it with Smooth Infusion Glossing Straightener for temporary (yet long lasting) smoothness, or Smooth Infusion Naturally Straight for an ongoing solution that will reduce the curl in your hair with continued use. Smooth Infusion Smoothing Masque retails for $49, but for a limited time only, receive $10 off with the purchase of any other product from the Smooth Infusion Range. In salon now. 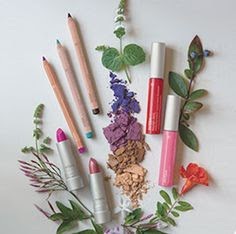 We are so excited about the launch of Aveda’s “Rare Bloom” make up collection! Aveda have released this limited edition collection of fashion colours to compliment this season’s best trends. Using plant power and natural minerals (not synthetic minerals made in a laboratory), Aveda has perfected the fusion between natural products and bright, on-trend colours. The strong lip trend isn’t going to go away in a hurry, and Aveda are on top of that, with a bright “Magenta Berry” Nourish-Mint Smoothing Lip Colour (RRP $29.95), and an awesome lip liner to nail that crisp outline. For those a little shy, we have a much tamer “Sheer Peony” Mineral Lip Colour, which still delivers a fantastic colour. These are complimented by two bright shades of Rehydrating Lip Glaze (RRP $34.95), “Pink Hibiscus”, and “Fire Poppy”. The collection also comprises of four brand new shades of Petal Essence Eye Colour. The shades are “Coriander”, “Plumeria”, “Indigo Sky”, and everyone’s favourite “Rose Gold”. These retail for $24.95 each. And to top it all off, a gorgeous Petal Essence Eye Definer, (RRP $29.95) in the most gorgeous shade of Turquoise that we have ever seen. These are strictly Limited Edition, and are sure to go, so ask your stylist for your Complimentary Finishing Touch to try them out and have a play with these brave colours. We love what Aveda’s Global Artistic of Makeup, Janell Geason has done with her model below! Don’t be a Dumb Blonde! Once a blonde, always a blonde. Blondes, whether platinum, ash, gold, highlighted, or enhanced with pastel tones, subject their tresses to a lot. High maintenance as it is, it is something that we choose to live with, and love! Colour processes every four to six weeks can take it’s toll, and powerful bleaches and lightening agents drain hair of its shine, elasticity, and at times, it’s structure. It’s about time that we got smart with this. Let’s talk about bleach. Yep, that nasty word that makes our hair, our scalp, and our lungs cringe. Basically, its not great. Traditional synthetic bleach, when mixed with hydrogen peroxide reacts with the melanin in our hair, and thus lightens it. However, the chemicals are notoriously harmful to the hair, and can actually break down the structure, causing snapping, stretchy hair, and generally will leave it in a weakened condition. They can also be damaging to the scalp, and cause reactions. The hair is also toned with a synthetic colour, which is not so nice on an already sensitised scalp. But we do it, because we love being blonde. And there is no alternative, right? Wrong! Thankfully for us, Aveda has a colourist’s secret weapon called “Enlightener Powder Lightener”. It works by using natural chemistry without the hair-scare factor. The active synthetic ingredients found in traditional bleach have been replaced by ingredients that have been derived from plants and minerals. Conditioning agents have been added using Jojoba, Sunflower seeds, and castor oil, which help to look after the hair and scalp during processing. For on-scalp applications we add Aveda’s “Enlightener Creme Booster”, which helps it process quicker, and will also sooth the scalp with menthol, and blue chamomile. Enlightener has a pleasant aroma, which is derived from plant ingredients, and includes peppermint and rose. But does it work? YES! We can achieve super light, clean and soft blondes with Enlightener. And after toning with Aveda Full Spectrum Deposit Only or Permanent colour, it is shiny, smooth, and STILL feels like HAIR! An Aveda Botanical Therapy treatment later and you’re good to go. We also recommend Aveda’s Damage Remedy System and Blue Malva Colour Conditioner to care for you blonde at home. Be it highlights, full head applications, or pre-lightening in preparation for this season’s pastel tones, Enlightener is a far more gentle alternative to traditional bleach. We can also use this in colour correction work, where it will replace a traditional “stripper” normally used to lighten off existing colour and tone in hair. We don’t personally believe that there is a need for traditional bleach anymore. Better result + healthier hair = blonde’s best friend. 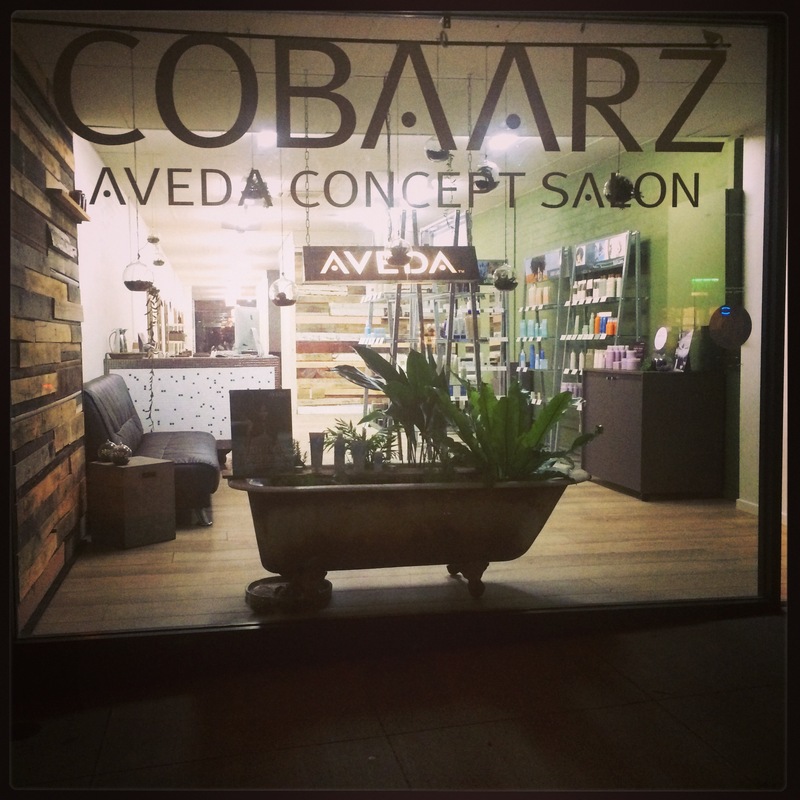 If you have any questions regarding bleach, Aveda’s Enlightener, or blonding processes, contact us via www.cobaarzaveda.com.au. Photo credits- Aveda Global Artistic Team, “Romantic Grandeur” Collection, 2014. Smooth Infusion Naturally Straight- Straighter Hair for GOOD! Now and then a product comes along that is said to “CHANGE YOUR LIFE”. Here at Cobaarz we are not fans of that term, but this time, we are tempted to use it. Smooth Infusion Naturally Straight has just been launched, and we have been lucky enough to have been testing it over the past few months. And it works. How is this product any different from all of the other hair straighteners on the market? Well, apart from the obvious (Aveda products are naturally derived and a much healthier option), Smooth Infusion Naturally Straight actually makes unruly and frizzy curls NATURALLY STRAIGHTER with each use. Results can be seen and felt within 5 consecutive uses of this product, and as cliche as this sounds, it really does work! How does Smooth Infusion Naturally Straight work? Should I be concerned that my hair is getting a build up? I know that many of you are asking this question. To be honest, we did too. The short answer is “no” there is no need to be concerned at all. It’s fine. The long answer is that the plant fibres that build a “locking layer” over your strands come from a natural source, and that they are there for the power of good, not evil. It’s the nasty build up like silicones, chemical colour pigments, and chlorine that you have to watch out for. 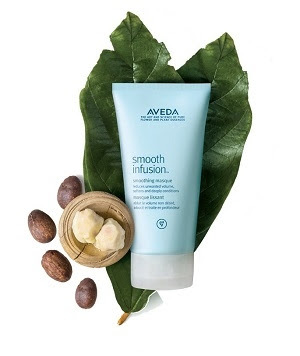 This innovative new product joins the rest of Aveda’s Smooth Infusion System, and has just hit shelves at Cobaarz Aveda Concept Salon, and it is selling fast! Come in to grab your free sample, and see what all the fuss is about. Samples strictly on a “first in best tressed” basis, as they are limited.